Rave The Los Angeles Review of Books At times, the book actually felt a bit over-researched to me, with too many characters talking about what used to be at this site or that, before the flood, but I came to understand that this was not simply as-you-know-Bob overexposition; it was also a token of the immense trauma they and everyone in Future New York is still living through ... 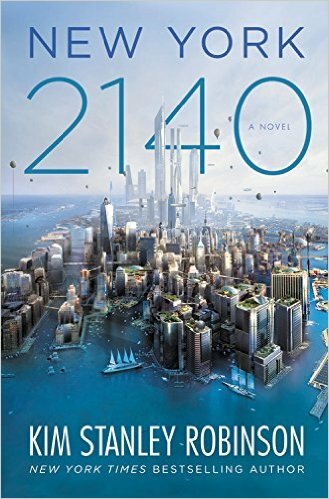 It is undeniably clear that Robinson’s project has become the construction of a huge metatextual history of the future, not unlike those sagas imagined by Asimov or Heinlein in the Golden Age of Science Fiction ... New York 2140 stands as the first major science fictional artifact of the Trump era, anticipating even in its articulation of the conditions of victory the fragility of progress and the likelihood of reversal ... New York 2140 truly is a document of hope as much as dread and despair. And it’s a hope we’ll dearly need in the Anthropocene, the Anthropocide, the Capitalocene, the Chthulucene, postnormality, whatever you want to call the coming bad years that, with each flood and drought and wildfire and “superstorm,” we have to realize have already begun — our own shared moment of danger, as it now begins to wash up over our beaches, breach our levees, flash up at us in an ever-rising tide.